Celebrating World Nutella Day with Nutella-stuffed cookies. Seeing some stunning local theater at Milwaukee's Next Act. Mixing up perfect ooey-gooey marshmallow rice krispie treats. Showing winter who's boss at Burnheart's Mitten Fest in Bay View. Checking out home décor shops in Tosa: Cattywampus & Twirly Birds. Sitting in on a Milwaukee Rep rehearsal for The Invisible Hand. ...and eating shakshuka, popovers, and a skillet-sized pancake. Mmmm popovers. Confession: I had four in one sitting during our recent up north weekend. No shame — I was on vacation. Popovers are light, hollow rolls consisting of equal parts flour, milk, and some eggs. They're practically a health food, amiright? It's when you smear them with delicious toppings that things get dangerous. Popovers themselves are neutral, so you can eat them with sweet honey, preserves, Nutella, straight-up butter, or savory sauces and it all works! Anyway, I have my friend Rachel to thank once again for these babies (just like I have her to thank for bringing Shakshuka into my life). She turned to Ina Garten for her recipe, and I have to say that Rachel's up north popovers turned out much larger and impressive. But mine, though small, were plenty tasty for a first try. Rachel says popovers are very finicky, so you never really know what's going to happen. I'm definitely going to try again — if the results are even as good at my first attempt, I'll be a happy camper. 1. Preheat oven to 425 degrees. Take the eggs and milk out of the fridge so they come to room temperature. Generously grease a popover pan or muffin pan with butter. 2. Whisk together flour, salt, eggs, milk and melted butter until smooth. Place greased popover or muffin pan in the preheated oven for exactly 2 minutes (yes, before you add the batter!). 3. After 2 minutes, remove heated pan from oven. Fill the cups of the pan less than half full and bake for 20 to 30 minutes. Do not peek – just watch through the window with the oven light on. Ina Garten says there are three keys to great popovers: Making sure the pan is hot before you pour in the batter, filing each cup no more than halfway full, and not peeking while the popovers are in the oven. Rachel, who has made these many times, emphasized the "no more than half-full" bit to me. She also said a lot can depend on the freshness of your ingredients. So much to think about! But so, so worth it. When I was up north recently, my friend Rachel made Shakshuka. I'd never heard of Shakshuka. What's a Shakshuka?! Turns out, it's a life-changing Israeli breakfast dish. The New York Times describes it as a "one-skillet recipe of eggs baked in a tomato-red pepper sauce spiced with cumin, paprika, and cayenne." Start by making the sauce in a skillet on the stove, crack in the eggs, then transfer the skillet to the oven to poach 'em. Oh, and there's feta. Yum. Gimme gimme! 2. Heat oil in skilled over medium-low heat. Add thinly sliced onion and red bell pepper. Cook until very soft, about 20 minutes. 3. Add garlic and cook 1 to 2 minutes. Stir in cumin, paprika, and cayenne and cook 1 minute more. 4. Pour in chopped tomatoes with juices and season with salt and pepper. Simmer about 10 minutes. Stir in feta. 5. Make sure the sauce completely covers the bottom of the skillet. Gently crack eggs into skillet over the tomatoes so that the eggs are about evenly dispersed throughout. *Note: Next time, I might make a shallow well for each egg and see how that goes. 6. Transfer skillet to preheated oven and bake until eggs are just set, 7 to 10 minutes. To serve, scoop out an egg and heaping spoonful of sauce for each person in your party. Garnish with cilantro and hot sauce (optional). This seems a little putzy at first glance, but it really couldn't be easier. And it's so flavorful, it'll really knock your socks off. This recipe is perfect if you're having friends for brunch or if you need something foolproof for a holiday morning. I suggest serving the dish with a side of popovers like Rachel did (recipe coming soon!) or some crusty bread to soak up all the saucy deliciousness. If you're cooking for just two, you can halve the recipe (I did so last weekend because I'm newly obsessed with Shakshuka and must eat it always). If you can't find a 14-oz. can of whole tomatoes, you can substitute stewed tomatoes and it'll still be wonderful. P.S. Shout out to my dear friend Rachel and the New York Times' recipe for making all this possible! Yesterday we went to Cattywampus; today we're walking a stone's through down North Ave to Twirly Birds. While Cattywampus is more old-made-new, Twirly Birds is decidedly antique/vintage. Some of the vintage pieces have been reappointed (as you'll see with my retro Christmas finds below), but the overall vibe is much more antique-y. The front room has a lot of antiqued brass, gold, and crystal pieces including wall sconces and chandeliers. I love the glamorous finds in this room, and though they're glam, the prices are plenty reasonable. There's also a hallway decked with gold-framed mirrors. There are still other rooms to explore at Twirly Birds, each filled with a rather random assortment of things. Some charming vignettes are set here and there, but mostly it's like a game of I Spy. The back-most room is piled with stuff. Fun stuff. Again, try playing I Spy to weed through. Luckily, I spied a couple pieces of Christmas awesomeness from the holiday clearance table. They were so weirdly whimsical (and half-off!) that I just had to have them. So for the vintage lovers of MKE, venture to Tosa and check out this little shop! It's a total delight. I plan to head back soon — more mirrors, chandeliers, and nifty retro must-haves, please! Information and hours at twirlybirdsdecor.com. A few weeks ago, after brunching at North Avenue Grill, my mom and I drove a short distance down North to a couple of local furniture and home décor shops. The first stop was Cattywampus. The second, which I'll tackle here tomorrow, was Twirly Birds. Today is all about Cattywampus. It's a one-room shop filled with up-cycled furniture (most of it painted cheery colors), handmade décor and gifts, and some Wisconsin pride scattered throughout. There were lots of fun and colorful decorative accents, and the furniture itself is beautifully refurbished with thoughtful details. Amazingly, the furniture prices are as reasonable as the quality is high. I saw several pieces I wish I had a spot for. I've heard from friends that the owners of Cattywampus are always stocking the place with new pieces. I've also heard that they're even willing to keep an eye out for you if you're looking for something in particular — like, if you're in search of nightstands, they'll do their best to find you some. How sweet it that? Cattywampus also hosts painting how-to classes. The classes are 2.5 hours long and cover the basics of various types of paints used to refinish furniture. You don't need experience or supplies — just bring yourself. Bonus: The classes include refreshments! I might just have to give one a whirl sometime — we have a dining room table that's in serious need of a makeover. Check out hours & what's for sale on the Cattywampus Facebook page. One of my favorite blogs to check in with is A Beautiful Mess. The site is so colorful and cheerful, and the girls who run it have just released a new photo-editing app called A Color Story. The goal of the app is to allow for color enhancements and whiter whites without entirely altering the photo. Sort of like pumping up a picture's natural beauty instead of masking it. There are examples on A Beautiful Mess of how it works. Their pictures are (not surprisingly) way more perfect and beautiful than mine — but I wanted to keep it real and show how the app works on your average iPhone photo. Let's get to it. With the Color Story app, you can light objects in the foreground. I loved the mountains in this Swiss pic, but was bummed that I could barely see Adam. With the Color Story app, I made him the focus instead of the scenery. Too bad he's not smiling! This Colectivo mural is a bright spot in downtown Milwaukee, but my photo didn't capture just how pop-y it is in real life. A little editing with A Color Story served to brighten up the picture. Back to Switzerland, these cheerful houses didn't exactly translate in the quick pic I snapped on my iPhone but A Color Story helped them look every bit as bright and whimsical as I remember them. Adam and I keep these colorful cacti on a window sill, so getting a good picture of them isn't easy — they're always backlit in the worst way! But A Color Story let me bring the color out of the shadows. A rainbow of antique dishes is always so striking — and even more so once A Color Story brightens up the shelving to be crisp and white. I'm not saying this app is perfect for all pics, nor that my execution is perfect. There are a ton of filters to wade through and it's going to take some time to feel it out. But at least you've enjoyed a taste of what's possible with A Color Story. If you take a lot of pictures and want colors that pop, I highly recommend it! I first had a Dutch Baby at the Pancake House. It's basically a jumbo pancake served with lemon, powdered sugar, and butter. The center of a Dutch Baby is a bit custardy (eggy in the best way) and the edges are perfectly crisp and pancake-y. When I saw the America's Test Kitchen how-to, I realized how easy it would be to make at home. Not only are these babies relatively simple to make, they're also rather impressive-looking. Though the Pancake House likes to claim a full Dutch Baby as a single serving, I find the at-home Dutch Baby is perfect to split between four people — everyone gets a quarter! optional toppings: fruit, maple syrup, preserves, etc. 1. Adjust oven rack to middle position. Heat oven to 450 degrees. Brush the bottom and edges of a large oven-proof skillet with 2 TBS oil (we used a cast iron skillet this time; I've used non-stick in the past). Place the skillet in the oven and heat for 10 minutes. 2. Meanwhile, combine flour, sifted cornstarch, lemon zest, and salt in a large bowl. In a medium bowl, whisk eggs until light and frothy. Whisk in milk, butter, and vanilla until combined. Slowly whisk milk mixture into the flour mixture until no lumps remain. 3. Remove heated skillet from oven and pour in the batter. Return skillet to the oven and bake for 15 to 20 minutes, or until the edges are crisp and the whole thing looks golden and delicious. 4. Before serving, spread a layer of butter and a generous sprinkling of powdered sugar over the pancake (people might want more toppings, so load up the table with options). Cut into wedges and serve. A note about lemon: I've made a Dutch Baby without lemon before and it's just as tasty. So don't worry if you don't have a lemon on hand — you can still make this show-stopping, skillet-sized pancake to impress your friends. Or, you know, if you're feeling ambitious and hungry, eat it all yourself — the Pancake House would encourage it. When it's -22 degrees in the North Woods, this is what you do. Bundle up and take snow walks. Go out for a Friday fish fry (duh). Check that placemat! Visit the "antler bar" and share homemade wine with the bartenders. Lay by the fire as the dogs sit on each other and you. Make new friends who know how to crank out stovetop popcorn. Wake up to a leaning stack of wild rice waffles, know that life is complete, and start daydreaming of your next trip to the North Woods. Classics, prize-winners, musicals & more! Last night, I was one of the many theater-loving, Rep-supporting Milwaukeeans who packed into the Quadracci Powerhouse to find out what's happening at the Milwaukee Repertory Theater next season. I won't go into great detail — you can find all the scoop on the Rep's website — but I will tell you what I'm most excited about. There are a few shows in the Stackner Cabaret (a small, cabaret-style dinner theater) that I'm itching to see. The first is Lady Day at Emerson's Bar and Grill — an award-winning musical that's an up-close and personal evening with Billie Holiday. In a similar days-of-yore musical vein, the Stackner will also perform I Love a Piano — a celebration of the music of Irving Berlin. Though it will be hard not to hear Judy's voice in my head, I'm super stoked for that one. Then there's McGuire — the story of Marquette basketball's Al McGuire and a show that's sure to bring in that cross-section of theater-goers and Milwaukee sports fans (Merry Christmas, Dad!). In the Powerhouse, the musical is Man of la Mancha — the story of Don Quixote and winner of five Tony awards including Best Musical and Best Musical Score. I can't say I really know any of the music, but with a resume like that, sign me up! For non-musicals, next January the Rep will do the Pulitzer Prize-winning play Disgraced, written by Milwaukee native Ayad Akhtar (writer of the Rep's upcoming play The Invisible Hand). Their final two Quadracci plays in 2017 will be The Glass Menagerie and Jane Eyre — an American classic and sweeping costume drama, respectively. Lots of awesomeness to look forward to. Oh, and then there's a re-imagined Christmas Carol! The Rep has been putting on this classic Christmas story for 40 seasons, so any re-imagining is a welcome breath of fresh air. It will be cool to see what new wonders they bring to the show. Spoiler alert: We were told there would be snow in the audience! Consider me there with jingle bells on. Now where do I subscribe to the Rep's next season? This weekend, I'm headed up north to a little house in the big woods for some good friends, yummy food, snow walks, towny bars, and fried fish. Barring any blizzards, it should be glorious. When I asked my friend and hostess, Maria, what I could bring as a sweet smackerel, her response was quick and surprising: rice krispie treats. Not having ever made rice krispie treats in my adult life and not wanting to let Maria down, I poked around until I found a recipe with great reviews. You wouldn't think you could mess up these childhood treats, but you can! In fact, Maria and I messed them up big time 20+ years ago. Yep, we've been friends for that long. When we were about eight years-old, we tried adding food coloring to make purple rice krispie treats; they turned grey and rock hard. The key to soft, gooey rice krispie treats comes down to the ratio of krispies to mallow. The recipe I followed (and made some adjustments to) calls for more mallow, and the savvy commenters suggested adding some vanilla and extra marshmallows right at the end for pockets of gooey goodness. The sprinkles on top are just for fun. 1. Grease a 9x13-inch pan. Over a low flame, melt the butter in a large saucepan or pasta pot. Add vanilla once the butter is almost fully melted. 2. Keep the flame low and add the marshmallows. Stir constantly so the butter and mallows won't burn. Keep stirring until the marshmallow and butter are combined and smooth (no marshmallow lumps should remain!). Cook one minute more, then remove from heat. 3. Add the rice krispies. Use a spatula to fold together the krispies and marshmallow mixture. Scrape the bottom and sides of the pan, making sure all of the krispies are coated. Once it's all combined, fold in 1 to 2 cups more marshmallows, stirring just enough to incorporate but not melt the mallows. 4. Using a spatula or your hand (wrapped in plastic wrap! ), press the mixture into the greased pan. Top with sprinkles if desired. Cool completely, then cut into squares and remove from pan. Store in an airtight container, or wrap individually in plastic wrap. This recipe is a great exercise in a.) revisiting childhood and b.) practicing self-restraint. How can something as simple as rice cereal, melted butter, and marshmallows be so tempting? I think the addition of vanilla takes it to another level — your childhood rice krispie treats never smelled so good. I wanted to eat the whole pan myself. And these come together so quickly (no wonder they're a favorite of moms everywhere!) that knowing the secrets to the perfect treat could prove dangerous... But I'm willing to take my chances. Did you know that getting around Milwaukee in the almighty Uber is surprisingly inexpensive? My friends and I snagged an Uber from the east side over to Bay View for Burnhearts Mitten Fest for less than $12, split three ways — and easily split, since there's a "share fare" feature on the Uber app. Those techies know what we like! It's a good thing we took an Uber because the street outside of Burnhearts was packed with people and the surrounding streets were lined with cars. It's also a good thing we Ubered it because there was a lot of beer to be had, and some strong beer at that. The $8 Bourbon Barrel Scotch Ale from Central Waters Brewing Company was well worth the price tag — delicious and packed a punch. Though the beer lines looked intimidating at first, they kept moving nicely. Beyond beer, there were a handful of tents featuring local artists selling stuff like "F you winter!" t-shirts, posters of Star Wars/Milwaukee mash-ups, and handcrafted jewelry. Though the street was crowded, that's not unwelcome in winter (more body heat). Plus, the folks at Mitten Fest seemed overall to have the perfect let's-all-be-friends buzz on — no one remotely obnoxious. Maybe the cold keeps everyone in check? Whatever the reason, it was a fun vibe. When our toes started to feel numb, we crowded together near one of several outdoor space heaters, then eventually got in a long-ish line to get inside Burnhearts itself. Though the place was at capacity, people were coming and going enough that the line moved quickly; we were lucky to snag a booth at the back of the bar. Burnhearts doesn't look like much from the outside, but it's pretty cool inside and has more atmosphere than I would have guessed. You could easily spend a few cozy hours there — in fact, that's exactly what we did. 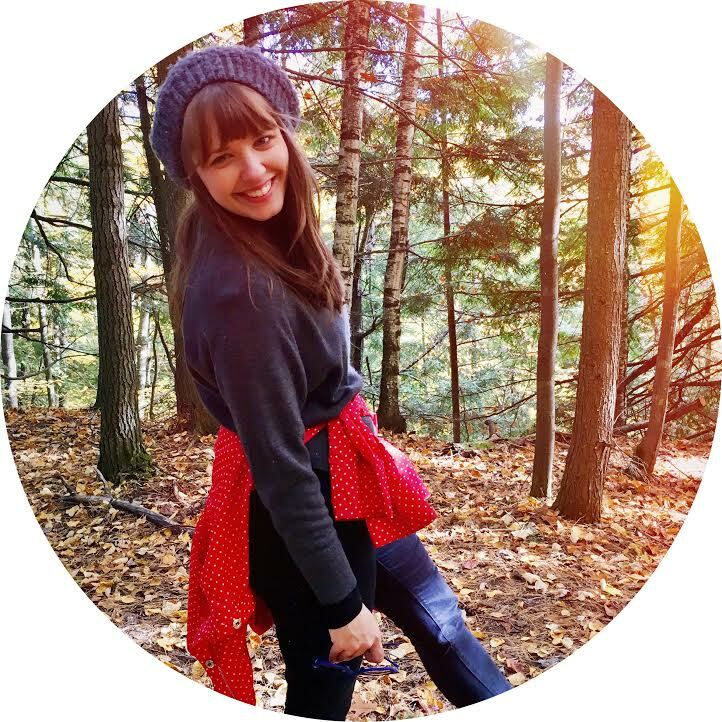 My advice: Check out Mitten Fest next year — but why wait to enjoy an evening at Burnhearts? It's a great excuse to venture to Bay View. What's coming to the Marcus Center? 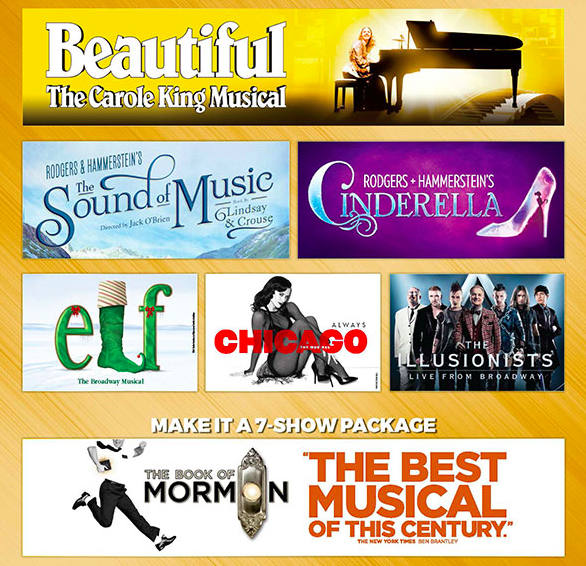 Last night, the Marcus Center announced which Broadway musicals will be coming through Milwaukee in the 2016/2017 season. I have to say, it feels like a mixed bag of tricks to me. There are two shows I've seen recently and the rest are an assortment I feel I could take or leave. First, a shout out to the two shows I've already seen. Cinderella was hands-down one of my favorite musical theater experiences to date. Yes, I'm a sucker for a good fairytale, but if you have even a teeny tiny soft spot for the story of Cinderella, plan on seeing this show. The music is sweeping, the sets are like a picture book, the costumes are gorgeous, and the magical elements are, well, magical. I plan on making a repeat visit to see the show in Milwaukee for sure. And then there's Book of Mormon. I don't know the last time I laughed harder at a musical. That said, I just saw it last summer, so seeing it again this October seems like a bit much, especially with the promise of Hamilton starting its Chicago run this fall (deep breaths). But it doesn't matter if I go see Book of Mormon a second time — what matters is that if you haven't seen it yet and if you can appreciate some irreverent humor (which, I honestly don't and even I loved this musical, so that tells you something! ), don't miss this show! There's a reason the Marcus Center is bringing it back so soon. It's a cash cow. And it's a cash cow because people are obsessed with it. Now let's look at the rest of the lineup. Beautiful: The Carole King Musical. While I don't see myself rushing to see this one, I'm sure it's great and I would give it a shot if the timing works out and ticket prices aren't too scary. After all, it was nominated for Best Musical at the Tony Awards in 2014. Sound of Music leaves me asking: How could it be better than the movie? The movie is so ingrained in me that I worry I will just be comparing the show to the movie the entire time. That, and having flashbacks to the horrific Carrie Underwood incident. We won't speak of it again. What do you think friends? Have any of you seen these shows that have me feeling lukewarm? I would love nothing more than to be proven wrong and have someone tell me they adored Elf or Beautiful or even a Sound of Music sans Julie Andrews. So if you have any scoop on these shows, share it freely! You know what they say: Friends don't let friends miss out on must-see touring Broadway theater. P.S. What even is The Illusionists? I just keep picturing this. Next Act Theater presents "Twilight: Los Angeles, 1992"
"Intimate. Powerful." That's the tagline for Milwaukee's Next Act Theater, and no show this season has lived up to those words quite like playwright Anna Deavere Smith's Twilight: Los Angeles, 1992. As a late 80s baby, I don't remember the 1992 Rodney King beating and subsequent riots that rocked L.A., but that's what Twilight: Los Angeles is about. Officers ruthlessly beating a black man and what happened next; it sounds all too familiar. What's amazing about Anna Deavere Smith's play is that it consists entirely of monologues — monologues from 37 true accounts of the Rodney King beating, the riots, and related events. Every word spoken in Twilight: Los Angeles is pulled verbatim from life and real peoples' perceptions. I've never heard of or seen anything like it before, and it was absolutely gripping. Gripping and eye-opening. The 37 monologues are performed by six actors whose talent blew my mind. Off stage, these actors are white, Asian, black, and hispanic. On stage, they freely crossed race and gender lines, making each monologue all the more thought-provoking, fascinating, and downright entertaining. The monologues come from all walks of life: a police officer charged with beating Rodney King, community activists, an opera singer, Korean and Mexican shop owners, a Hollywood realtor, victims caught in the rioting crossfire, and more than 30 others. The monologues moved the audience to tears, gasps, and laughter. Each was brilliantly performed as the actors took on these incredibly varied personas rapid-fire, but always with great precision. And then you remember that all of the stories are true — or at least, true accounts from real people like you and me. As a white girl from predominantly white suburbs, it's hard to remember a time my world view was so broadened, so quickly. Sad maybe, but true. A 2+ hour-long play like Twilight: Los Angeles demands your attention in a way no other medium does, and it changes you. Friends, go and see this play. Go and experience what Milwaukee is buzzing about. It's important. It's affecting. It's a step in broadening our world view — and shouldn't we all jump at any chance to do that? Twilight: Los Angeles, 1992 is playing now through February 21st at Milwaukee's Next Act Theater. For ticket info, visit nextact.org. Today's the day! World Nutella Day. The day for which, next year, you'll be hearing from me as Nutella's Chief Ambassador, right? Of course right. Until then, I'm sharing a recipe that I finally — finally! — tried. I've had this one pinned for literal years, but I figured there's no time like the present. So let's brown some butter, whip up chocolate chip cookie dough, and stuff a delicious glob of Nutella in the middle of each cookie! Oh, and top each with a sprinkling of sea salt. Hi, I've died and gone to heaven. P.S. I realize I don't have photographic evidence of the Nutella in the middle, but trust me: It's there and it's spectacular. *Note: I'm calling for half of the original amount of chocolate chips. I found that Ambitious Kitchen's amount made the dough really hard to work with. That said, you can always add more chocolate chips as you go. Also, the three different types of chocolate really did have an awesome effect — don't skip the three types. 1. Whisk together flour, baking soda, and salt. Set aside. 2. To brown the butter: Cut 2 sticks of butter into smaller pieces and place in a saucepan. Heat over medium heat until butter is melted, whisking constantly. Continue to whisk as butter foams and begins to brown slightly and give off a nutty aroma (this can take several minutes). Once you smell and see a change in the butter, immediately pour into a bowl to stop the cooking and prevent burning. Allow to cool for a few minutes. 3. With an electric mixer, beat butter and sugars until thoroughly blended. Beat in egg, egg yolk, and yogurt/sour cream until combined. Slowly add the flour mixer until just combined. Fold in the chocolate chips. Chill dough for an hour in the fridge. 4. Preheat oven to 350 degrees. Remove dough from fridge and see if you can work with it — if not, let it stand on the counter for a while. Scoop out about 1 and 1/2 TBS and roll into a ball. Use your palms to flatten the dough. Place about 1 tsp chilled Nutella in the middle of the flattened dough. Gently fold the dough around the Nutella and roll into a ball (it doesn't have to be perfect — just no cracks seeping with Nutella; add more dough if you need to). 5. Place dough balls on a cookie sheet about 2 inches apart. Gently press down the tops a bit. Bake 9 to 11 minutes or until the edges turn golden. It's okay if they're soft in the middle; they'll continue to cook out of the oven. Sprinkle with sea salt. After about 10 minutes, transfer cookies to a wire rack to cool completely. Repeat with the remaining dough, chilling the dough/Nutella as needed so it's easier to work with. *Note: I got about 20 hefty cookies out of this recipe. Also note that Ambitious Kitchen offers really awesome step-by-step photos, so use her as a reference — I sure did! My cookies didn't come out as beautifully golden as the original recipe from Ambitious Kitchen. Maybe I should have used dark brown instead of light brown sugar? Maybe I need to brown the butter a tiny bit longer? But I figured, better safe than burnt butter. My cookies also varied in size somewhat, depending how cooperative the sticky Nutella center decided to be at any given moment. Despite all this, these cookies are insanely wonderful, especially on their first day out of the oven when the three kinds of chocolate chips are still gooey and the Nutella center is warm and molten. After day one, store in an airtight container and zap the cookies in the microwave for 10 to 15 seconds before enjoying them with a glass of milk. Or skip the microwave — they're still out of this world. I'd never been to a play rehearsal before, so when the Milwaukee Rep gave the social media club a chance to see a rehearsal for The Invisible Hand, I jumped at the chance. The play opens in the Quadracci Powerhouse on February 24th and right now the cast is just diving into it. The story, as summed up on the Rep website, is "a tale of kidnapping and world financial markets." The cast had done three days of table readings plus one day on their feet for the first several scenes of the play. On the afternoon of our rehearsal visit, they were once again on their feet, tackling a new scene. Along with the actors, director, assistant director, dialect coach, and other important folks whose titles escape me, Pulitzer Prize winning playwright Ayad Akhtar was also there. Having the man who wrote the words in the room was a very cool experience — watching him react to certain lines with knowing laughter and offering his two cents as director Lucie Tiberghien prodded him for further insight. I loved observing Lucie and how she phrased direction as "Let's try X, Y, Z" – not pushy, but offering a new point of view that the actors might not have considered. It was fun to hear the same lines spoken over and over again as the actors tried different intonations and motivations on for size. Toward the end of rehearsal, we saw the scene start to take shape as the actors and director mapped out the stage action, like which way each character would stand, walk, and face. After the hour-long rehearsal (which went by in no-time), the social media club was granted a little talk back with everyone. We sat in a circle while the actors and behind-the-scenes crew told us a little about themselves and how deeply honored they were to be part of this production. One actor (I won't say who — we promised in our Circle of Trust) actually got emotional, telling Ayad "it's a f***ing honor to be here." That got everyone tearing up. It was palpable just how sincerely grateful these actors are to Ayad for writing plays for people of color — something there's not enough of. When one of my fellow social media clubbers asked Ayad what he hoped theatergoers got out of his play, he said that, for him, theater is another way of connecting with issues in the world. He hopes that The Invisible Hand will move people to a richer vision of the world, and that — ultimately — it raises consciousness for issues and situations that might otherwise remain quite foreign to most of us. 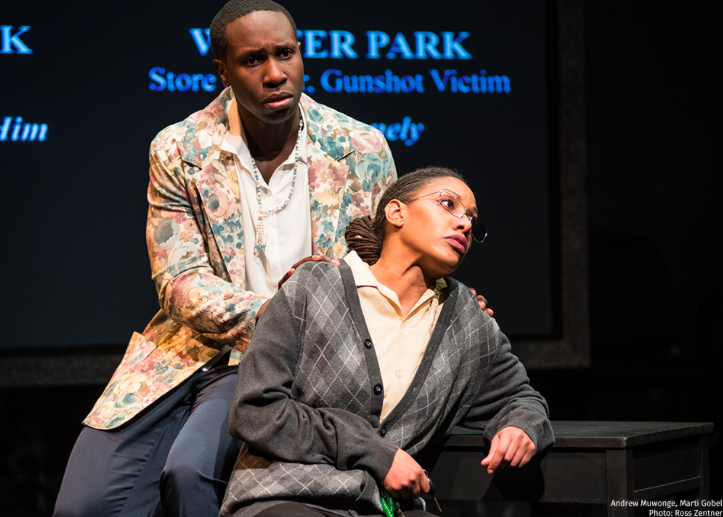 Check out The Invisible Hand at the Milwaukee Rep, February 24th through April 3rd. I plan to be there on opening night. Honeypie isn't shiny and new. It's been around since 2009 and is now considered a Bay View staple. I hadn't been there for a couple of years (blasphemy! ), but the stars aligned this past weekend and brought me back to that homey Bay View hot spot boasting scratch-made, Midwest-inspired, locally-sourced food and "critically acclaimed pies baked in house." All that and the cutest logo in Milwaukee. We got there around 7:30 on Saturday and were greeted with a 30-minute wait. No problem at all — we enjoyed a beer at the bar. The place is very small and cozy with one row of booths, some window seating, and the bar (which you can eat at if you like). We were eventually seated by the window. Our eyes were bigger than our stomachs by then, so we ordered pork fries to start: shredded BBQ pork, cheese sauce, pickled jalapeños, green onions, and bacon over hand-cut fries. As our waiter said "Best thing on the menu" — and yeah, it was damn good. For the main course, Adam went for a Cubano sandwich, our friend Joel had the porkslaw sandwich, and Joel's girlfriend Vanessa chose a caesar salad with chicken. I had a bite of her salad and let me tell you something: I never knew caesar salad could be something remarkable, but at Honeypie it was. They toss kale chips into the mix, and I know what you're thinking: kale chips = hipster gimmick. But they truly added this delightful crunch that I'm still craving days later. Plus, the caesar dressing was exceptional. I had the mac n' cheese. It's baked and topped with buttered bread crumbs, green onions, and crumbled bacon. Sounds like a home run, right? Some folks rave about the Honeypie mac n' cheese, but I wouldn't get it again. I found it kinda bland under all that tasty topping. Still, I'm glad I tried it, otherwise I'd always wonder. With all this heavy food in our bellies and plenty leftover, there was sadly no room for that critically-acclaimed pie. Not that it mattered — by that time on Saturday night, most of the pie was picked over. Lesson learned: If you go to Honeypie for dinner, order dessert first. There'll be a better selection, and you'll have room to enjoy it.